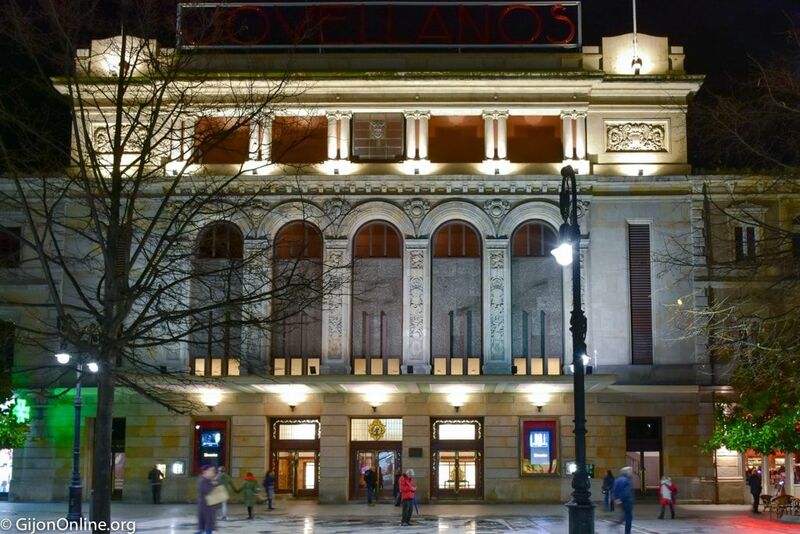 Teatro Jovellanos is the main theater in Gijon located at the city center in Paseo de Begoña. 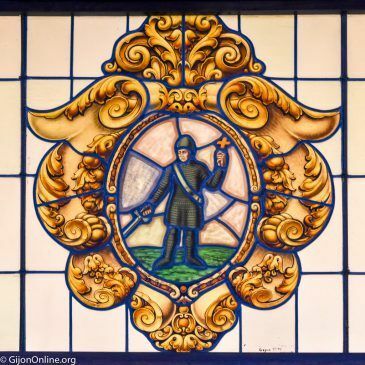 The inauguration as Teatro Dindurra goes back to July 1899. 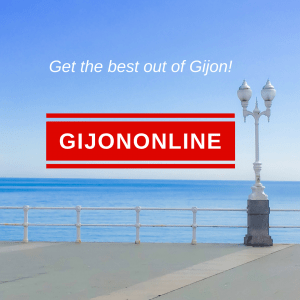 The primary goal to offer a space for leisure and culture to the flourishing city of Gijon. An air strike during the Spanish Civil War left the theater in ruins after on the 14th October 1937. 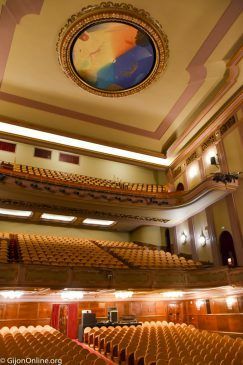 Consequently, it was rebuilt and open again on 7th August 1942 as Teatro Jovellanos. The last renovation started in 2009. 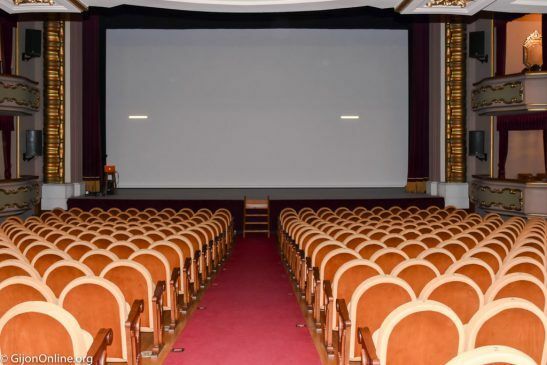 Teatro Jovellanos’ doors opened back in January 2010 after full restoration with the best infrastructure for the 21st century. 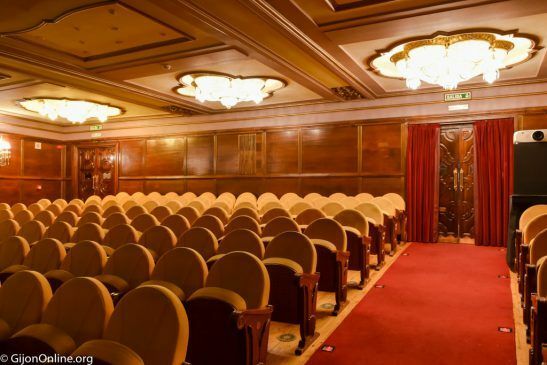 Teatro Jovellanos has a capacity for 1123 spectators distributed as 476 seats in the parterre, 400 seats in the mezzanine, 242 in the gallery and five spaces for wheelchairs. It is a humble experience to stand on that stage. 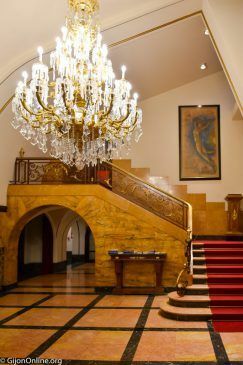 The grandiosity of this theater touches you. It is where the magic happens. 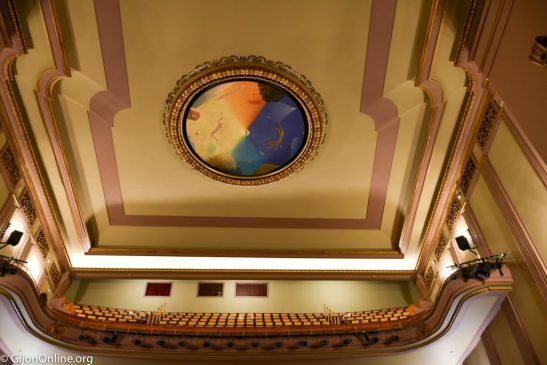 When looking up at the ceiling, you can admire the circular painting “Homage to the Theater” by Melquiades Alvarez. The stage is 11,50 meters wide by 9,50 meters tall with a depth of 21 meters. 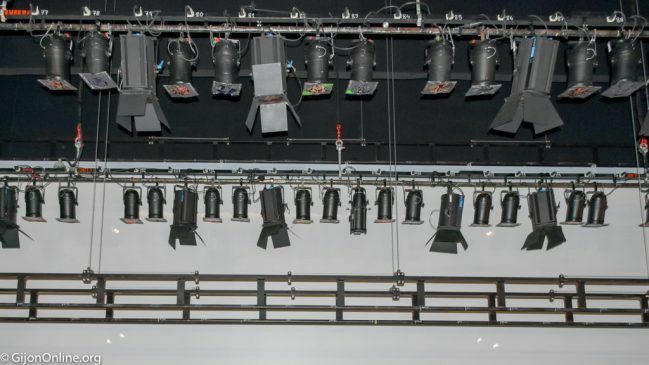 Backstage, there are dozens of spotlights to create the environment for the best performing arts. 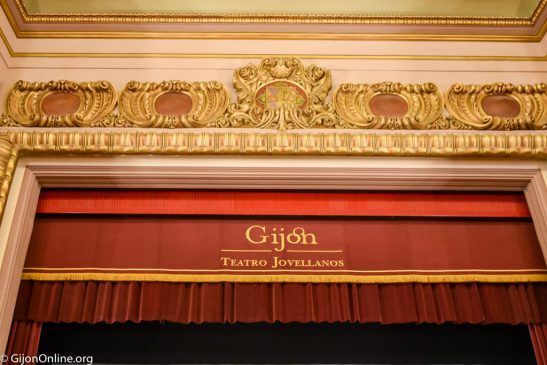 The Gijon City Council owns the municipal theater Teatro Jovellanos. 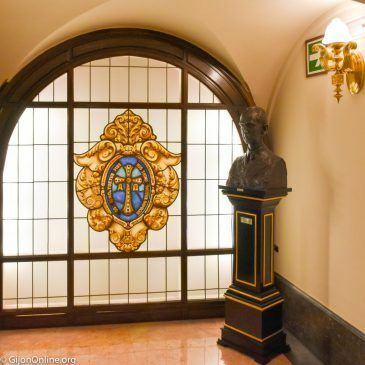 The program managed by the local company Divertia Gijon S.A. runs through the whole year. 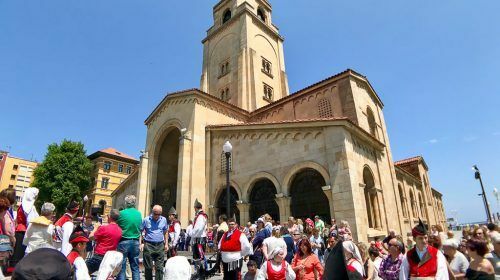 They are responsible for most cultural and festive activities in the city. 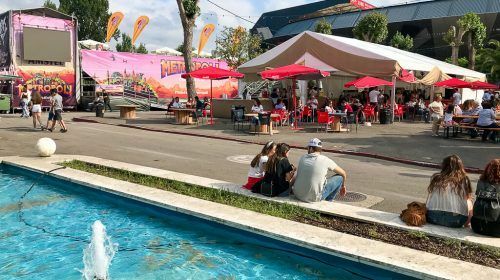 For example, the Xixón International Film Festival and the Jazz Festival every year in November, or the Gospel Festival in December. Visit the web page to check the program for all coming events. 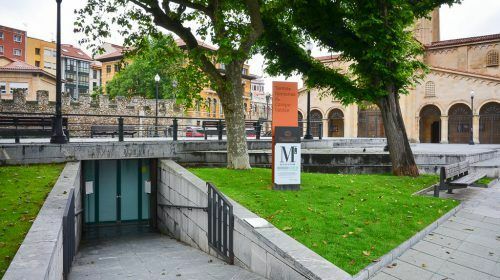 It is worth a visit during your stay in Gijon. 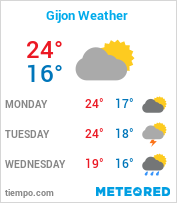 Visit our calendar section for more suggestions on things to do in Gijon and nearby. 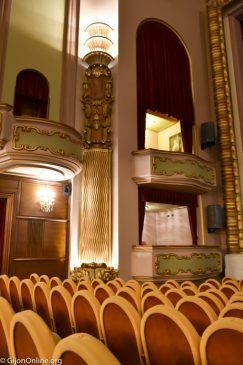 Enjoy the magic of the theater!